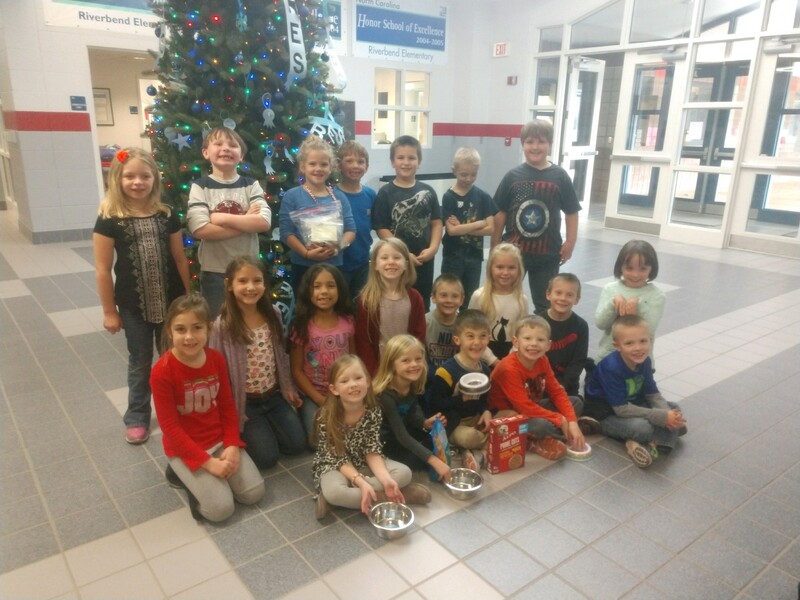 As part of learning about giving back to our community, Mrs. Donna Wood’s First Grade Class at Riverbend Elementary School collected money for Sarge’s Animal Rescue Foundation. The students were able to collect and donate 3 boxes of dog and cat food, blankets and other supplies, along with $58.00 to this very deserving organization. Mrs. Wood says her students were so excited to place money into the Collection Jar and to learn how Sarge’s would use it to help injured, abused, neglected and abandoned animals in our local community.